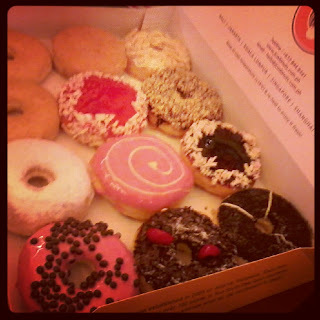 We're not really fond of donuts at home but once in a while, we indulge ourselves with these "holey" delights. J.Co Donuts is the latest craziness when it comes to donuts. I guess its the melt-in-your-mouth goodness that attracts people to be donut-crazy like us (with daughter). Imagine going all the way to Mall of Asia just have our first bite of these donuts and donut panic-buying at Megamall. Crazy, right? Luckily, these donuts are not that sweet so it's less sinful than Krispy Kreme.